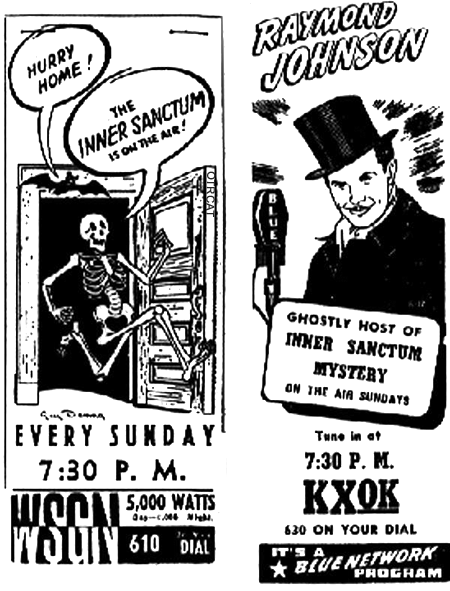 There is nothing in Broadcasting that can scare the pants off of you like a good radio horror program. And few did it as well as The Inner Sanctum Mysteries, produced by Himan Brown. Originally broadcast on Sunday nights over the Blue Network/ABC, just late enough to give you nightmares before starting school or work on Monday, the show moved to CBS in fall 1943. Raymond was a big part of the "fright factor". The show takes a departure from other thriller anthologies by opening the episode with campy tongue in cheek humor. 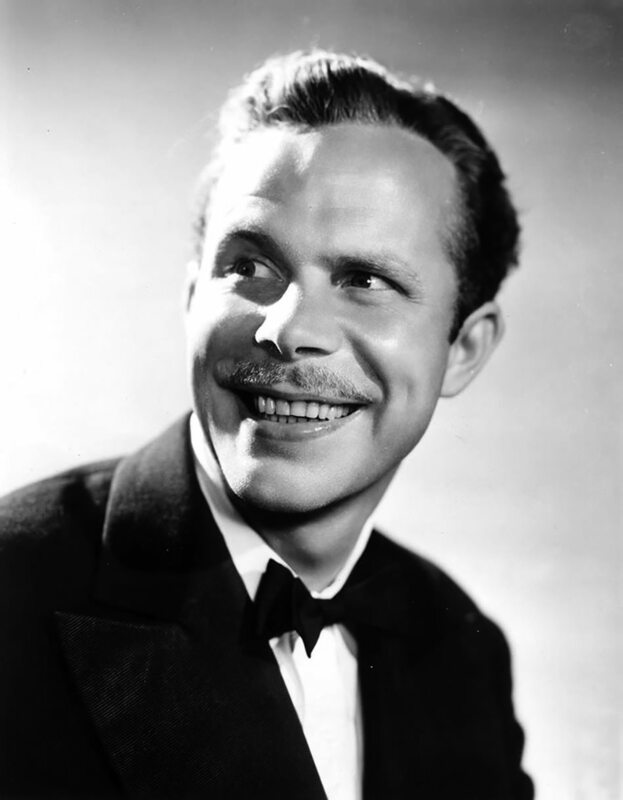 The original host of the show was Raymond Edward Johnson. When Johnson left the show in the middle of the 1945 season for Army service he was replaced by Paul McGrath. McGrath dropped the "Raymond" moniker, but "Your Host" maintained his mocking humor. "Raymond" delighted in painfully bad puns and poking fun at the audience who he was sure would soon be suffering from knee-knocking fright. 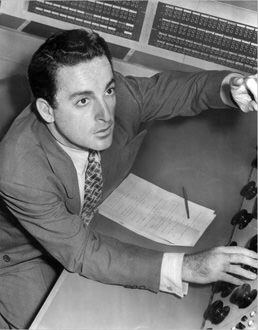 The Host and the rest of the show would be accompanied by the voice of Lew White's organ, which could raise or darken the mood at will, and always provide a dramatic "stinger" when Death was near. "Raymond" would set the standard for later horror program hosts like Ernest Chappell on Quiet, Please and TV's Crypt Keeper on "Tales from the Crypt." The 1945 season saw Lipton Tea coming on as sponsor, and featured cheery Mary Bennet as spokesperson who would chide Johnson and later McGrath for their dark and macabre humor. One auditory trademark of the show was the squeaking door that opened and closed each episode. Producer Himan Brown remembered a squeaky door in the basement that always gave him chills. On the opening broadcast a door was tried to replicate the sound, but it didn't come across. Brown quickly jumped into studio chair and got the creaking squeak that was needed, and the chair was adopted for the rest of the shows run. It wasn't unknown for a well meaning studio maintenance person to take it upon himself to oil the offensive chair, forcing the sound man to verbally imitate the squeak. Sarcastic Hosts and fun opening patter, of course, won't scare anyone. the real meat of the program were the stories. Boris Karloff appeared regularly through the first season and occasionally through the rest of the run. 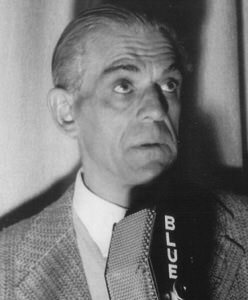 The fifth episode features Karloff in an adaptation of Poe's "Tell Tale Heart". "Raymond" was a big fan of Edgar Allan Poe, and recommended his works for The Inner Sanctum Reading Club. Other great episodes include "The Black Seagull" with Peter Lorre, "The Deadly Dummy" with Mason Adams, and Agnes Moorehead in "The Murder Prophet". Now, as the door squeaks its close, to quote "Raymond", "google Pleasant Dreeeeeams, hmm?" See also Suspense, Dark Fantasy, Escape, Lights Out, The Hermit's Cave, Mysterious Traveler, Mystery in the Air, Strange Dr. Weird, The Whistler and Weird Circle. 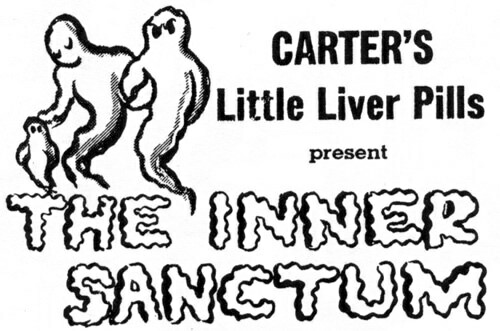 Here it is, Monday night, and I am listening to an episode of Inner Sanctum, just like I did way back in 1949 when I was the tender age of six, listening to the radio with my older sister in the other bed, telling me to turn it off. Why was Raymond dropped as narrator of the series? Anyone know? My sisters used to listen to Inner Sanctum and other scary radio shows in the living room and then they had to walk down this long dark hallway to get to the bedroom. Knowing that the shows would scare them, they would listen anyway. 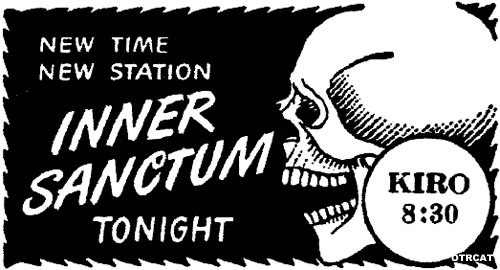 Listening to Inner Sanctum while you're cowering under the covers is akin to reading comic books in the dark with only a flash light...You kept one ear open for your Mom coming up the stairs. 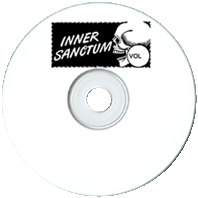 I bought the first disc of Inner Sanctum and before I heard them all I ordered disc two. Great show. I wonder, does Raymond ever return as narrator ?